Quick support is available via our international hotline. Pros: Good quality construction. Reasonable price. Looks nice. 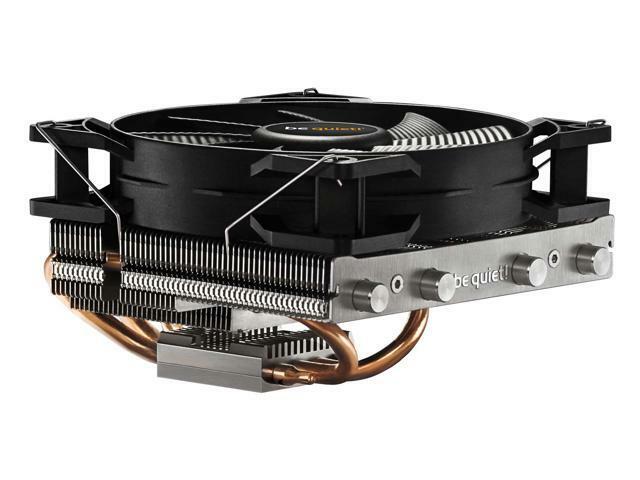 Cons: I have mounted many aftermarket air coolers (Noctua, Cooler Master, Zalman, etc.). This one has the most poorly designed mounting system I have run across. It's not that it's impossible to use, just that it takes much longer to implement and is more difficult than it needs to be. Some reviewers try to insinuate that the users need to be smarter in the way they assemble the product. I think that misses the point - you can drive a nail into a board with a stapler, but why would you want to?? Other Thoughts: After installing this product, I will think twice about purchasing cooling solutions from them. Just better solutions available. Pros: Low Profile. These were used on Ryzen 7-1700X builds for the kids. I needed the lower profile for the cases that the kids got. They keep the processor well within specs. I like how the cooler overlaps the ram. This forces air to pull over the ram and keeps it cool. I also like that they are quiet and easy to install. Cons: For those who complain about how hard they are to install... I am sorry, but please stop victimizing yourself. Be a victor and educate yourself about the basics of mechanical systems. With that said, the wire fan holders could stand to be about one fin wider on the cooler side, and subsequently the fan side. Otherwise, great product! - (Just) fit in my ITX case (Ncase M1 rev5) facing opposing direction from ram. Pros: -Whisper quite during gaming sessions. Cons: -Included documentation isn't the best. -First time installation can be a challenge. Other Thoughts: This is my first time installing an aftermarket cooler. So my opinion maybe different than those with more experience. It took me almost an hour getting the cooler onto an AMD cpu. Granted I was being lazy and didn't take the build completely apart and remove it from the case. Had I done that and installed the heat sink outside the case I'm confident the installation would have been a lot smoother. However, the included wrench was worthless, the documentation for mounting the fan on the cooler wasn't clear, and the process wasn't as easy as installing the wraith stealth. So that is the missing egg. The fan however is very quite and premium feeling. While it does not cool much better than the wrath stealth performance wise, the noise levels are significantly lower during gaming. 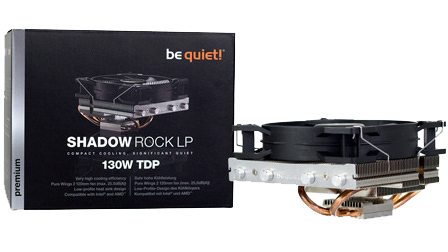 If I had a larger case (I'm using the rosewell FBM-X1) I would have gone with the pure rock or shadow rock for mATX builds. Other Thoughts: Installed on a Gigabyte GA-880GA-UD3H to cool an AMD FX-6350 125 Watts CPU. Clears everything and cools the VRMs. The noise is on par with the Fractal Design fans in my Define R4 case. Now the loudest part in my computer is the Corsair PSU. 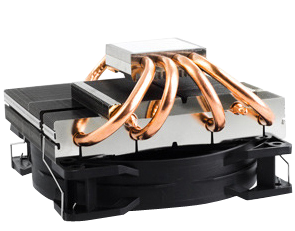 To install the CPU cooler when the motherboard is still in the case, install the two clips loosely on the crossbar contrary to what the instructions say, then tighten the screws once the cooler is in place, it will be much easier to install it this way. Other Thoughts: It's massive on mini ITX. Like, the size of the motherboard. Not a problem but fair warning. Make sure you get low profile memory (i.e. no huge fins, RGB lighting, etc.) It has a few mm of clearance with some standard sticks. Some reviews say the install was difficult. The most difficult part was honestly that I forgot to install RAM first and had to take it off. Lay out everything and read the instructions. Probably took 20 minutes total. Pros: I have had this for 3 years and it has worked well! Very quiet, reliable and low profile. Most coolers seem to be this giant tower of copper fins that barely fit in large cases these days, so finding this was really nice. I used it on a ASUS M5A97 AM3+ motherboard and it fit nicely. Didn't cover the ram or interfere with the video card at all. 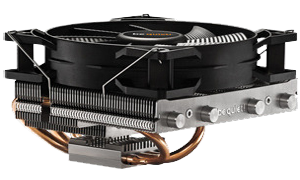 Other Thoughts: I would definitely recommend this cooler to anyone looking for an effective, reliable, low profile cooler. So far the be quiet! products I've ordered have been great!